A sod cutting ceremony was held on the site of the new North Hykeham Community Hub to celebrate the commencement of the contract. 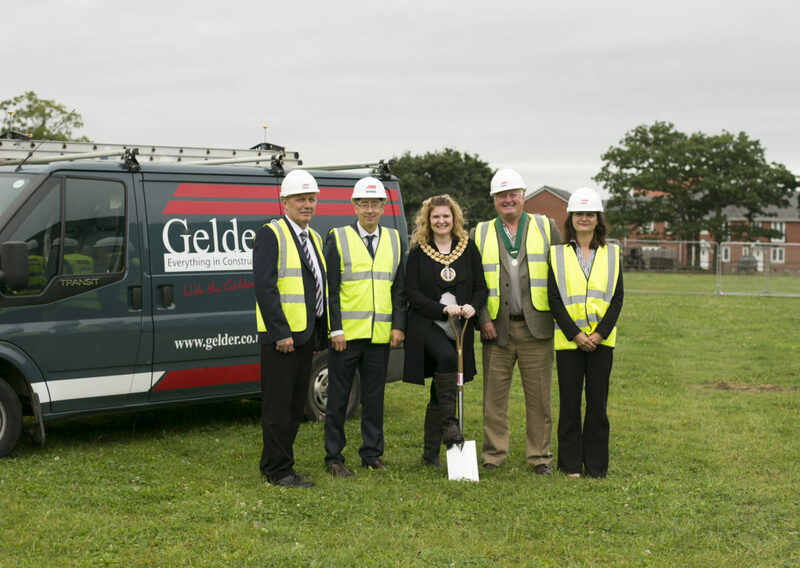 The ceremony was attended by the Mayor of North Hykeham Susannah Spencer, Deputy Mayor Edwin Rigby and Town Clerk Tracey Broughton, Kevin Manterfield (Gelder Major Contracts Director) and Ian Pickwell (Gelder Contracts Manager). The community hub will be comprised of changing facilities, club room with kitchen, meeting spaces, and multipurpose areas. The contract will last approximately 24 weeks and be ready for opening around February 2017.